You've probably noticed by now that I adore printables. They are the cutest details for a party or sweet gift and really make things special. Today I found a great deal on some Easter printables from one of my favorite designers on one of my favorite flash sale sites! You can get 29 pages of printables from Anders Ruff on Zulily. 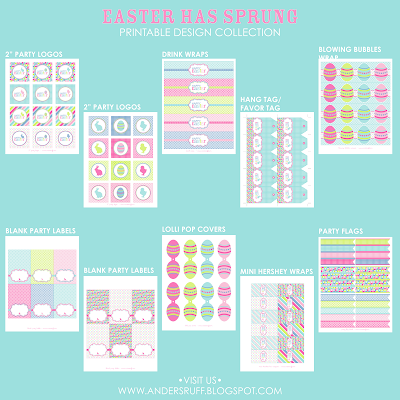 Click on the Easter Boutique and scroll down to the Anders Ruff - Easter Has Sprung collection. Regularly $20, today you can get the colorful hang tags, cupcake toppers, treat bag tags, blowing bubbles wraps, place cards, party flags, candy bar wrappers, lollipop covers for only $9.99! Seriously! 29 gorgeous pages of designer printables. This is quite a deal. 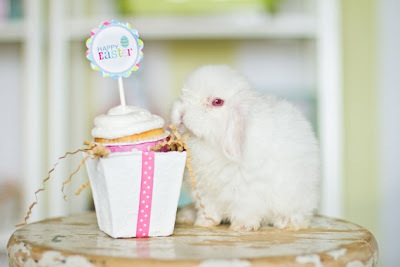 I just looked at this same collection on Anders Ruff's etsy page and it is priced at $20. The gift giving and decorating possibilities are endless. I particularly like the little mini candy bar wrappers and the bubbles wraps. Who doesn't love bubbles? 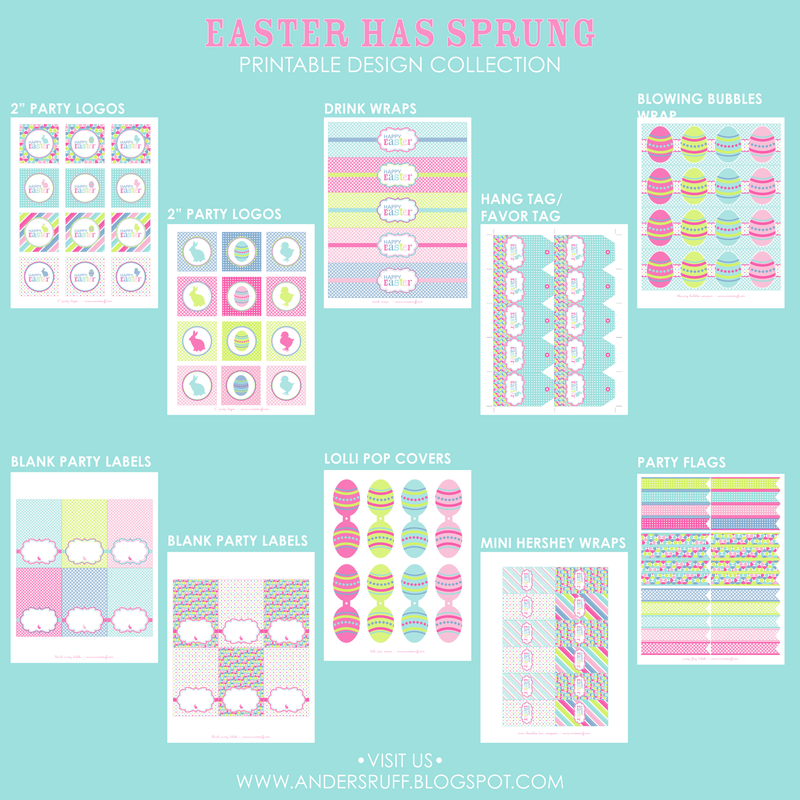 On Easter, you could make a delightful tablescape or treats table with these printables. I have ordered these in the past and they are very user friendly. You'll get your pdf files sent to your email within 72 hours of purchase. This deal is only available to zulily site members only, but don't worry. If you're not a member, I have your invitation here.